SICAS(Study In China Admission System) offers the information for international students to Study English taught MBBS and other courses in Xuzhou Medical University in a most accurate, effective and safe way. Founded in 1958, Xuzhou Medical University is one of the two excellent medical universities in Jiangsu. Besides English-taught MBBS (Clinical Medicine), Anesthesiology and Medical Imaging are also available there, Moreover, XZMU is also sparing no efforts to the building of international exchange and cooperation. Every year, more and more foreign students are studying there. 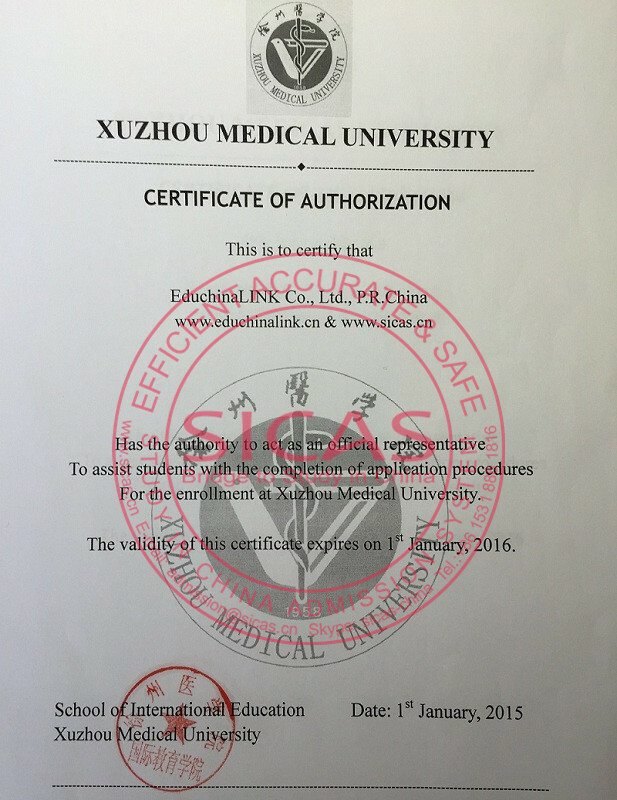 You will be a respectful doctor in XZMU.